BrownMamas.com created the #goodmama movement because we are fed up with African-American moms being depicted as lazy, mean, insensitive, crazy and most of all unloving. 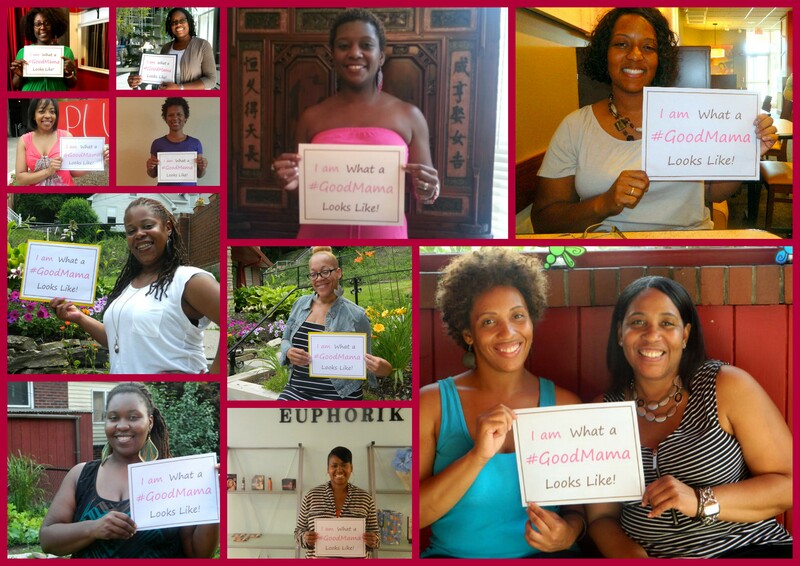 We want to show the world that African-Americans moms can and are excelling at raising children. Every week until Sept. 13th we will be highlighting two African-American moms who are not only excelling at motherhood, but who LOVE motherhood. On Sept. 13th we will be hosting a launch party to celebrate and comment African-American moms who’ve decided have gone public with their motherhood journey and support for Brown Mamas everywhere. To join the movement, or get involved with Pittsburgh Brown Mamas, email us at pghbrownmamas@gmail.com. Here’s a collage of the mamas who’ve participated thus far!